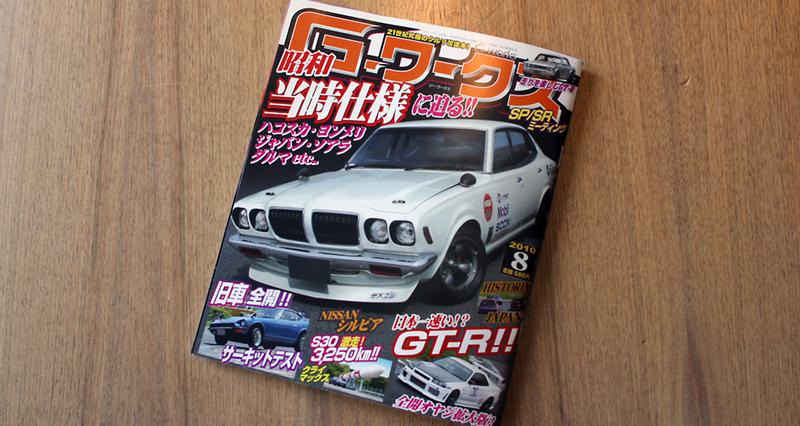 Stopped by Kinokuniya this morning to pick up one of my favorite magazines, Ｇワークス (WORKS) magazine. 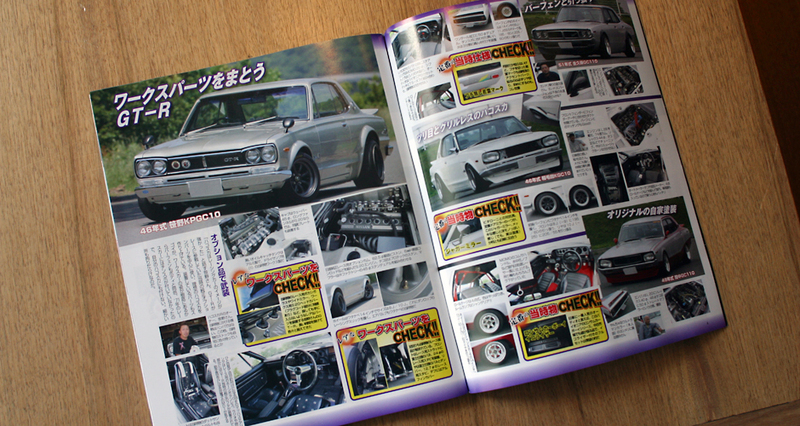 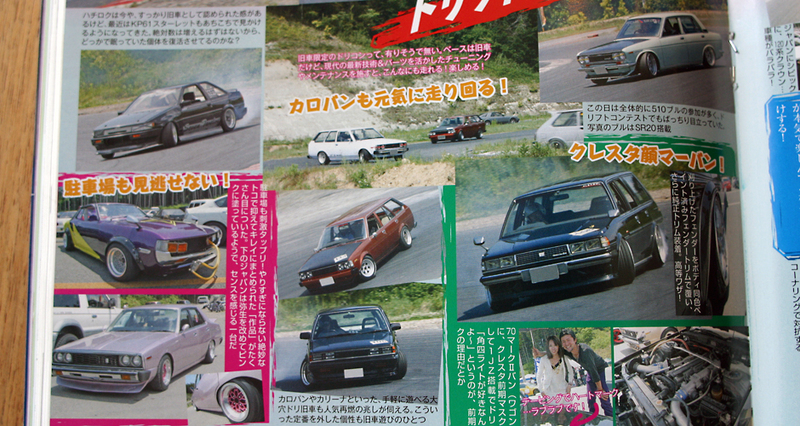 This magazine is similar to the previously known “Autoworks” mag and is filled with mainly classic Japanese and some modern tuned cars from drag to drift style. 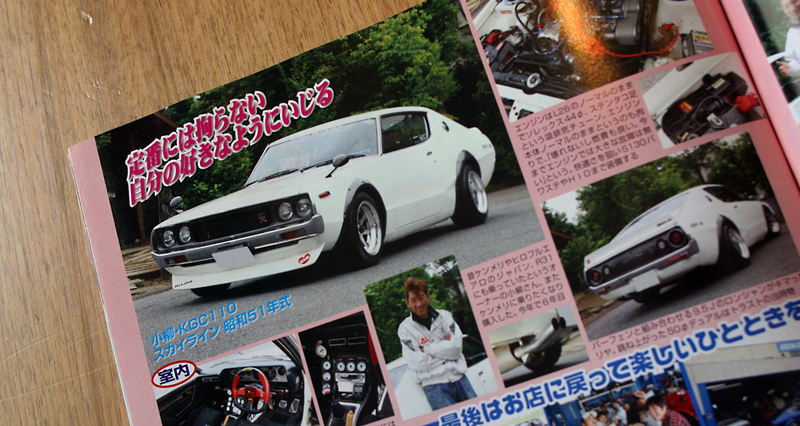 White Kenmeri with the Fatlace Skyline Heart!